If you have decided to purchase a hot tub, you probably have already thought about a number of considerations. How much will you use your hot tub? Will it be used throughout the year? How many people will your hot tub accommodate? Is your hot tub for your family’s private use or do you want to invite friends and family to enjoy your hot tub? Meet with your hot tub salesperson. Once you know what you want from your hot tub, the dealer can help you pick out just the right size and style to meet your needs. In addition, your dealer will be able to tell you if you are required to have a building permit and what your community requires for fencing. Decide on the location of your hot tub. You should check for privacy from passersby as well as your neighbors. You also will want a pleasant view looking out from your hot tub. A hot tub filled with water and the people enjoying it adds up to a significant weight. If you want your hot tub built into your deck or placed on an existing deck, the construction will probably need reinforcing to handle the weight. A structural engineer will be able to advise you. If you are going to construct a pad for your hot tub, you will need a reinforced cement pad that is 4-5 inches thick. You will not need to connect to a water source because you can fill your hot tub with a regular garden hose, but you will want that water source reasonably close for convenience. Also, consider where you will drain your water when you need to change the water in your hot tub. You will need to connect the hot tub to electricity to power the hot tub. 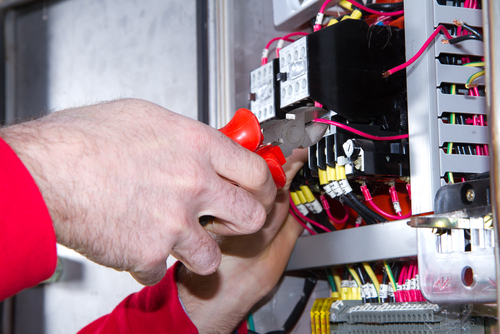 There are codes regulating how the electricity is connected and the location of the emergency shut off, so you will want to hire an electrician to make sure everything is done correctly and to code. Also, the general rule is your hot tub must be a minimum of ten to fifteen feet from any overhead electric lines. Some community codes regulate the minimum distance from the house. Prepare for delivery. Decide how the hot tub will be taken to its permanent location. You may need to remove fencing or a gate to get your hot tub to its site. Also, make sure there is adequate space to make turns into your yard. Notify the dealer if you have stairs the hot tub will have to go up or down. There are locations where it is impossible to bring the hot tub to the site on the cart. In those cases, the hot tub can be delivered using a special crane that lifts the hot tub over the house and into the yard. Of course, there will be an additional cost to use a crane. Remove anything that is in the path of the delivery. All furniture, toys, grill equipment etc. should be moved from the area to give the delivery technicians a clear pathway. Everything should be completed prior to your hot tub being delivered. If possible, have your electrician scheduled to connect your hot tub to the power source. Do not fill your tub until the electrician has completed the connections. Once your electrician has completed the connections, you can fill your hot tub and add the hot tub chemicals. Allow the water to reach the temperature you prefer. Place the steps for ease of entry and exit from your hot tub. Enjoy years of relaxation and enjoyment from your hot tub! The hot tub will be a valued part of your backyard spa. It will provide stress relief and soothe aching muscles after working in the garden or any other physical activities. 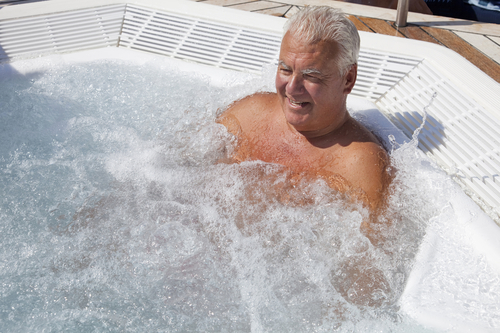 Many people with arthritis find the hot tub helps relieve their aching joints. It is the perfect way to reconnect with your spouse at the end of a busy day. Your hot tub will certainly help to raise the quality of your life.